Maruti Suzuki Dzire was launched in an all-new form last year. The third-generation Dzire is built on an all-new platform and does not resemble the older generation of the model. The all-new Dzire has become the best-selling car in India and is extremely popular. Maruti Suzuki officially offers a range of customisation options for the all-new Dzire including a body kit and decals. Here are five such modified Maruti Suzuki Dzire sedans from India. This Suzuki Dzire has been modified by the popular garage KitUp in Coimbatore. With the kind of job done on the Dzire, it is difficult to miss it on the road. The sedan gets a fluorescent orange body wrap which is known as Sunset Beam Pearl. It gets a dual-tone finish with a piano-black finish on the roof. 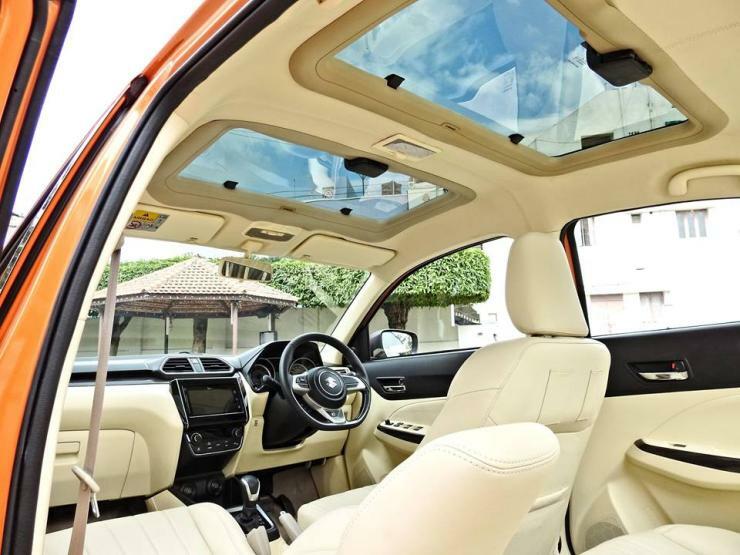 The roof has been modified to fit dual sunroofs to give a panoramic effect to the car. Also, the stock wheels have been upgraded to 17-inch Momo alloy wheels that further add a great stance to the vehicle. The interior also gets an upgrade and the fabric upholstery has been replaced with leather, adding a premium feel to the vehicle. Maruti launched the new Dzire and the facelifted S-Cross with many visual changes recently. 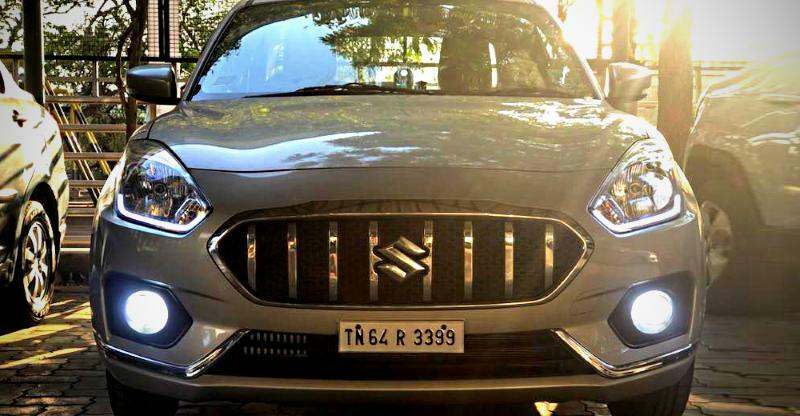 Here is a Maruti Dzire that took inspiration from the new S-Cross and got a new face. The new Dzire comes with a horizontally lined-up grille with a thick chrome border. The new grille is from the S-Cross that offers a loud, chrome dipped vertical slat grille. It looks quite good on the Dzire and makes it look bolder. Even with the top-end variant, the new Dzire does not offer leather seats. Here is a Dzire that has been updated craftily with diamond-stitched leather on the seats. The interiors have been completely updated with new dual-tone seats in beige and black colour. It should be noted that the stock seats are offered with adjustable headrests. The new seat covers make the headrests fixed. Also, trims on the centre-console have been wrapped in leather to give that premium feel. On the outside, it gets a few stickers that give it a sleek look and makes it look unique. 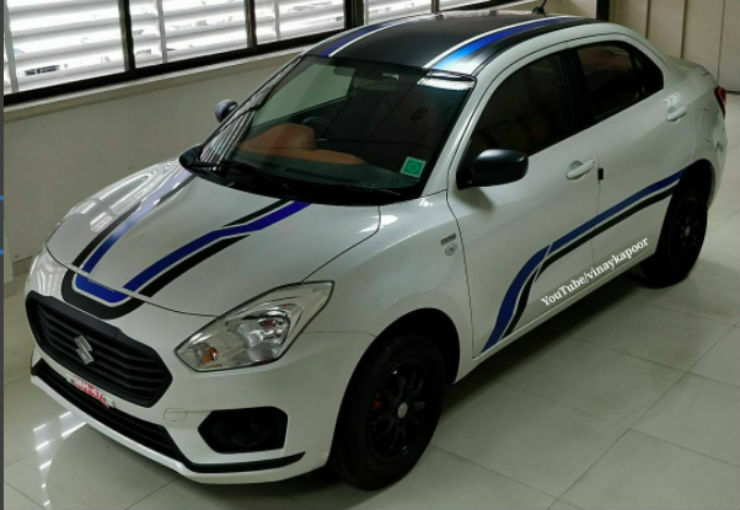 Here is an all-new Dzire that gets a very sporty look with an aftermarket body kit. It gets an official body kit from Maruti with an underbody spoiler at the front, side skirts and underbody rear bumper spoiler. However, all the added parts have been painted black to give it a contrasting effect. The Dzire seen here also gets door mouldings and door visors for the complete look. A few accessories, like the front parking sensors, have been added to make life easier on the road. The alloy wheels come from the Celerio and are painted black. The black alloy wheels look quite good with the red coloured brake callipers. It also gets the dual-tone effect with a black roof. Here is another Dzire that has been wrapped beautifully to look different from the crowd. In the sea of vehicles, small and smart touches like a selective wrap can make the vehicle stand out. This simple looking white Dzire looks quite fantastic with a number of body decals. It gets a black roof with a red contrasting design element. The bonnet too gets two sporty stripes that add to the character. The car features a front bumper spoiler, side skirts and rear bumper spoiler. The parts have been painted in the matte black colour to match the overall look of the vehicle. It also gets blacked-out alloy wheels with red callipers. 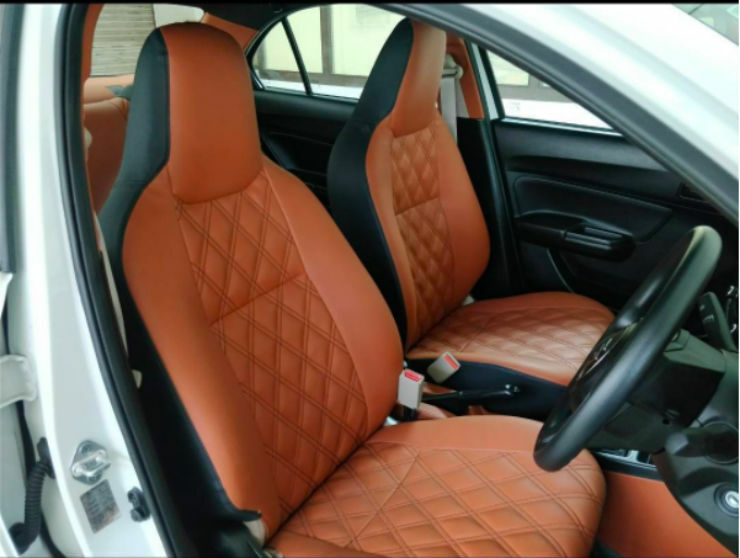 On the inside, the car gets beautifully done leather seats, which is not available with the stock model.